Certain tweaks and additions to our household appliances and sources of energy may appear to be insignificant, but they are actually changes to the quality of life that can mean a lot in the long run. In fact, once you get used to them, you will ask yourself – how have I ever lived without them? Thermostatic mixing valves are one of those items that simply improve the minutia of living. If you’re wondering how and why, it’s prudent to elaborate on the importance of installing a thermostatic mixing valve. Thermostatic mixing valves which are installed today are usually tweaked to fulfill certain norms – temperature wise, they are adapted so that they don’t exceed certain limits. This is why they’re so useful in child centers, kindergartens and elementary schools, as well as nursing homes and elderly resorts. When you are installing a thermostatic mixing valve in your own house, you should know that the maximum temperature extremes can be adjusted according to your needs, though you have to first talk to a professional about possible norms and regulations. The problem mostly comes from single-lever faucets. These faucets mix hot and cold water, but it’s not a cut-and-dry process as it might appear. Some faucets can be overly sensitive and they might not mix the waters well in the first place, which can lead to a lot of frustration. For example, you might end up waiting five minutes for hot water to come even though you’ve turned the faucet all the way to red, and when it’s finally there, it can ramp up to smoldering hot in just a few seconds. It’s not only frustrating, but absolutely dangerous. You can just imagine how this problem becomes a lot more concerning if the kids are old enough to get into the shower by themselves, but too young to react promptly. Before you know it, a completely normal day can turn into a nightmarish medical emergency. The issues with single-lever faucets are too prevalent all around the world to be ignored. When it comes to burn injuries timing is also of the essence. In other words, it can depend on how long you’ve been exposed to hot water, and what the exact temperature was. For example, water heated to 50°C will burn you after 3-4 minutes, and the intervals get only shorter from there – capping with a one-second exposure for a burn after the water has reached 65°C temperature. Certain experts, as the guys at Hot Water Nurse, will already be well familiar with such facts and, apart from installing the useful mixing valves and the accompanying system, they can further instruct you about safety levels. Thermostatic mixing valves are probably the most elegant solution right now, but they weren’t the first method used to better control unpredictable blasts of hot or cold water. 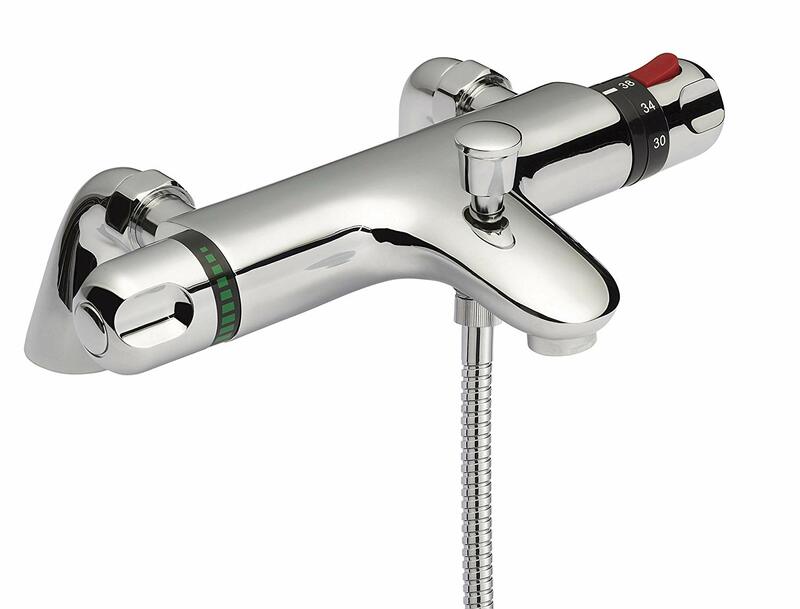 Pressure balance valves used to be added to the bathroom systems, and they usually consisted of separate levers. They exclusively controlled the temperature levels of water, but they were hindered by, for example, the toilet being flushed or activations of other faucets in the bathroom. Therefore, it wasn’t a completely foolproof system. The main selling point, and the upside of thermostatic mixing valves, is that they solve the ever-present issue of temperature limits. The problem with all previous solutions used to be that, once you turn the levers to the maximum, they would release the hottest or the coldest possible water. If you crank the mixing valves to their maximum, they will “stop” at a certain arranged temperature. One of them controls the temperature while the other one controls the volume of water that comes out of the faucet, so even if you make a small mistake with the temperature, you can prevent discomfort by adjusting the volume. Thermostatic mixing valves are especially meaningful if you have small children. A fact that’s rarely publicized is that thousands upon thousands of people get hospitalized every year due to serious burns or scalds. Over 90% of such injuries happen in the bathroom. In order to ameliorate this problem, installing a thermostatic mixing valve with certain helpful options and tweaks can save your skin, quite literally.